Gators, Air Boats, and Swamp Buggies might be the three things that I would blurt out if playing the game, 5 Second Rule (#adlink) with a category titled Everglades. It just happens that all those things are located at Billie Swamp Safari conveniently located 3 miles from our campground. It is also operated by the Seminole Indian tribe. We headed over one afternoon for for some fun safari-goin’! Mike & Annette had taken a preliminary scouting trip before we arrived, so they gave us a rundown of the activities & tours that were available onsite. While the airboat rides are fast-paced and sound like an adventure, we opted for the swamp buggy ride that is about an hour long. We figured this would give us more time to explore the swampy marsh and double our chance to see more wildlife. We boarded our swamp buggy which is a vehicle capable of driving on both land and through water. Our guide started us off on our journey bouncing and splashing through the swampy canal. We then took a sandy path through the grasslands where we saw antelope, deer, bison, and lots of birds. From the grasslands we entered the hardwood hammock where we learned about the culture and history of the Seminole Indian Camps and plants that were used for survival in those times, including fresh bay leaves! Made me crave some good slow-cooked soup. The path started narrowing and it felt like we were in a safari in the backwoods - oh wait, we were! At several points, limbs & palm fronds were coming in through the sides of the buggy so it was important to stay alert! After some bumpy & twisty turns we entered the Pop Ash area that was lush with ground vegetation. This is due to the fact that it is the lowest area and is underwater during the wet summer months. A few more twists, turns, and bumps and we suddenly arrived in what seemed like Africa - surrounded by zebras & ostriches. We had heard about a crazy ostrich from friends of ours also staying at our campground. 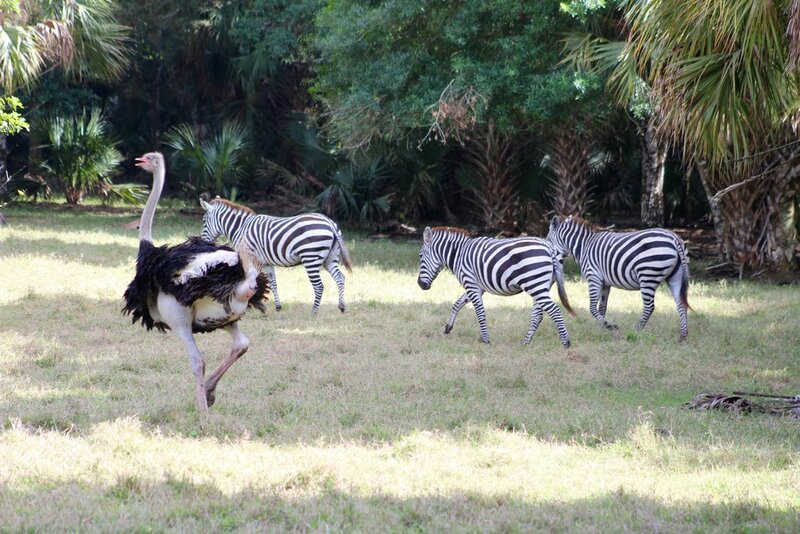 Since it was mating season, the male Ostrich, Einstein, becomes very territorial. He was chasing away the zebras like a farm dog droving cattle. After he got the zebras all taken care of, our swamp buggy became his next target. Einstein started chasing the buggy and since Mike, Annette, Russ, and I were all in the very back row - we were the ones he was coming at first. YIKES! He would run after us and then when the buggy would stop he would drop to the ground on his knees and shake around from side to side. He even started puffing his neck and bellowing. When he continued to chase us, Annette bailed and moved to a safer seat in the middle of the buggy. Luckily, we escaped his chase and mating call. I think he thought Annette was mighty cute! This wrapped up our ride and we returned through the swampy waters to where we started. The tour definitely provided us with an up-close and personal experience with both native & exotic wildlife in their free-roaming environment. We were hoping to see a Florida Panther or Black Bear, but they remained rather elusive. Maybe next time? After our paid tour, we strolled the grounds checking out the other animal exhibits at the park. We checked out the gators, tortoises, wolves, bears, and Liberty the resident Florida Panther. 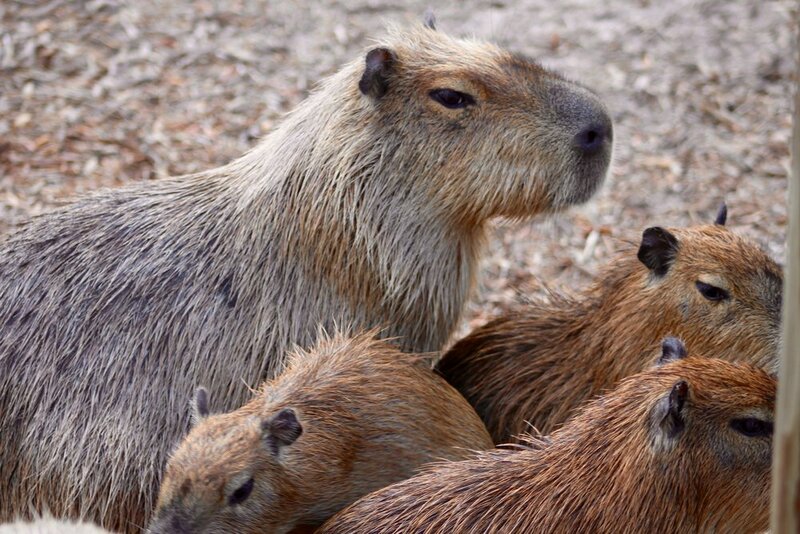 Our favorite was the capybaras and despite being the the largest rodent in the world and compared to a rat, somehow they were still cute. Several of the animals had been rescued from situations where they had been kept us pets and then no longer wanted. The Billie Swamp Safari provides a wonderful home to these animals that would not be able to survive in the wild. We finished up our visit by walking on the boardwalk & nature trail. The trail provided us with a true swamp backdrop while walking among the cypress trees. There are some very primitive Seminole chickees (thatch roof huts) that are available to rent for an overnight stay. Mike & I thought it would be cool, while Annette & Russ couldn’t figure out where the air-conditioning vents were. Hehe! 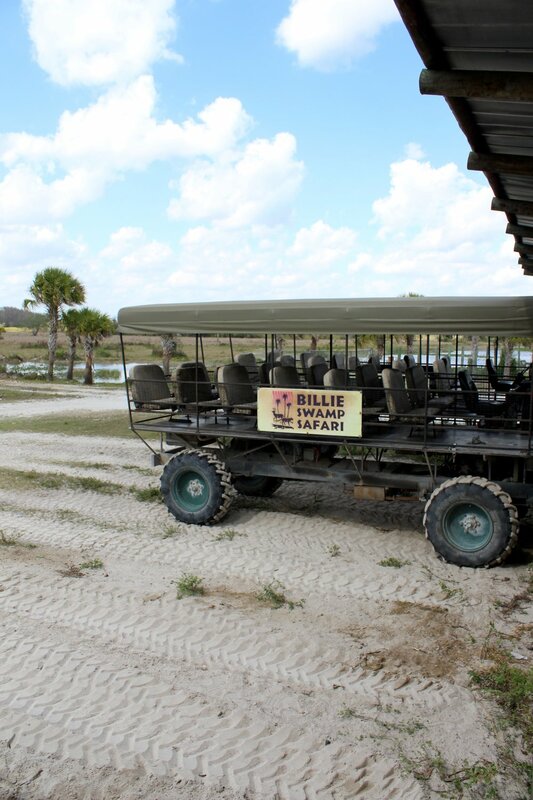 Billie Swamp Safari also features air boat rides, snake, swamp critter, and alligator show for an additional fee. If you are headed over from the Naples or Miami area, you could also grab a bite to eat at the Swamp Water Cafe. We enjoyed our safari-like expedition, but more importantly we appreciated its convenience to our campground. We’ll consider this a real safari, until we take a true safari expedition in Africa. Maybe someday? Feb 12 Visiting our "Nutty" Friends!